While researching common learning techniques, we came across the learning pyramid (seen below). 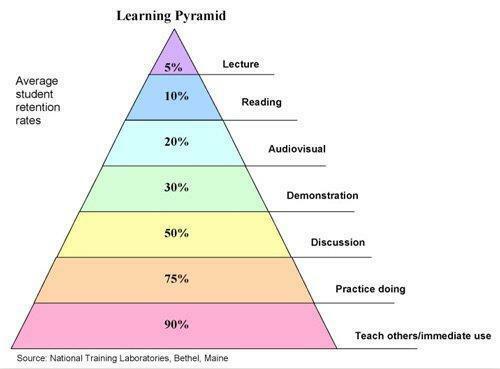 The learning pyramid shows that we as humans retain more information by experiencing the information in a proactive, interactive, interesting and engaging way. When your goal is to actually retain information about a subject long-term, as opposed to memorizing short-term for a test, we believe the best learning strategy is to experience it. 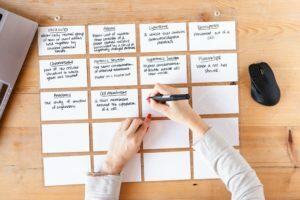 Adopting an experienced-based learning strategy is a little different than traditional passive learning techniques (ie: a teacher lecturing at you) and it does require a little more effort, imagination and creativity BUT it will take you further faster. If you’re a self-learner trying to teach yourself a new skill, we’ve found that the first step is to make a commitment to yourself to be an active learner. You can apply further learning techniques to help you achieve your learning goals quicker. 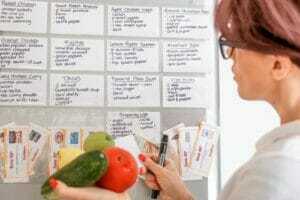 Spaced repetition is when you spread out your study sessions at the moments when you start to forget. Spacing effect is when when we study material several times spaced out over time. Spacing is the opposite of “cramming” where we try to cram a bunch of stuff into our brains in a short period of time.